Velvet. Sparkles. Stripes. 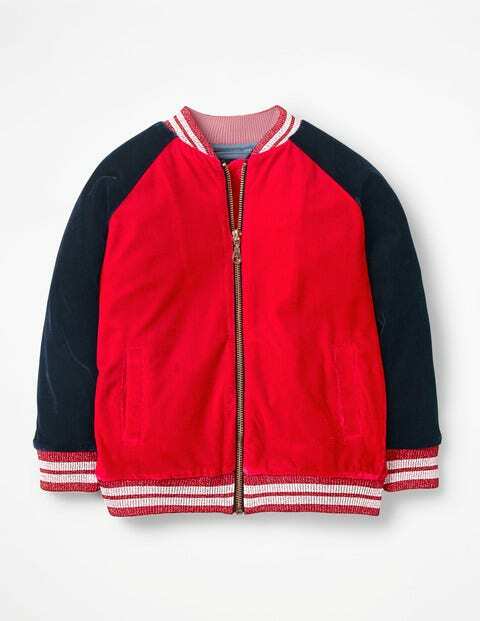 We've rummaged in the sewing box and thrown everything at this bomber jacket. Lined in 100% cotton, it's great for zooming around in on chilly days. The rose gold zipper is super smart, and there are two handy pockets for essentials (read: snacks). Oh, yes, we've thought of it all.